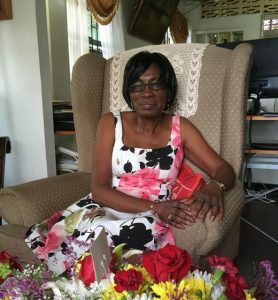 Guyana Elections Commissioner, Sandra Jones, who had been ailing for several months, died early Monday morning, her nephew confirmed on Facebook. Jones had been nominated by the then opposition People’s National Congress Reform and took the oath of office on May 7, 2012. She was a human resources specialist had succeeded Robert Williams upon his passing. On her nephew, Courdel Jones’ Facebook profile, tributes began pouring in early Monday morning. Jones’ passing could well result in in-depth talks within the governing coalition about who should replace Jones. The other commissioners are drawn from the PNCR, and not the Alliance For Change. They are Charles Corbin and Vincent Alexander. Since the appointment of GECOM Chairman, Retired Justice James Patterson, that elections management body has not met.